There’s no shortage of statistics on data breaches and hacking. Most experts agree that the trends are pointing upwards—data exposures are expected to continue to grow in the near term. While overall averages are quite helpful in understanding the big picture, it’s also valuable to review actual incidents. 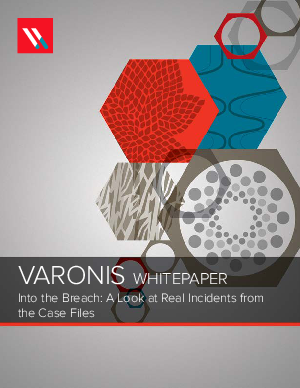 “Into the Breach” will give IT and security pros a chance to look at the case files of companies whose data has been exposed by hackers and cyber-thieves. In the real world, there are bottom-line consequences: class-action suits, civil fines, and other regulatory penalties and costs. For IT executives, this white paper will show that their security decisions can ultimately have a positive financial impact.